The Central Provident Fund (CPF) is Singapore’s retirement savings scheme which allows employees, under 55 years old, as well as their employers to contribute to their retirement savings. The primary reason for it being set up was to provide for retirement. This has been expanded to allow individuals to use their CPF savings to invest, purchase homes and provide for healthcare expenses. It’s important to realise that you can invest your CPF retirement savings with the aim of improving performance to meet your financial needs in retirement. It’s important that your CPF investment strategy is aligned with your overall financial goals and risk profile. For both expats who are Permanent Residents (PR) and citizens, CPF is an important consideration. Calculate your CPF contributions based on your age and current monthly income by clicking here. Chris and Kylie have lived in Singapore for 6 years now and have recently been granted Permanent Residency. Chris works as a VP in a technology firm, and Kylie is currently at home looking after their son, Mark. Chris and Kylie are originally from Melbourne and plan to return there at some point in the future. Chris is receiving his CPF contributions from his employer and decides to meet with our team to discuss how he can seek to improve the returns of his retirement savings. We met with Chris and Kylie and discussed their current financial situation, as well as their long-term financial goals. After taking them through a range of scenarios, we were able to structure a suitable investment portfolio for his CPF savings that was diversified across the asset classes and suited their risk profile. We regularly review the portfolio with Chris and Kylie and re-balance it accordingly to ensure it remains on track to achieve reasonable returns and appropriate levels of risk. Two years later Chris and Kylie decide to relocate back to Melbourne with their son, Mark, so that he can attend high school there. 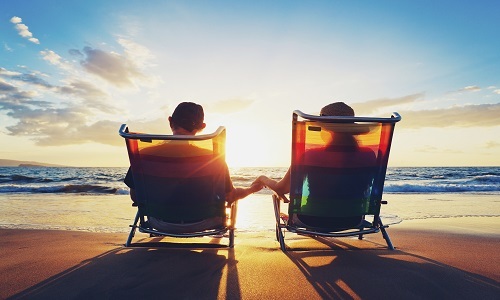 We help Chris to withdraw his CPF funds and roll these savings into his Australian superannuation fund to ensure that his retirement goals remain on track, and he can continue saving for their ‘golden years’. Click on the buttons below to arrange a time to discuss how you can invest your CPF wisely and make the most of the opportunity.